The Proud Bird is closed for renovation and will be re-opening in 2017. 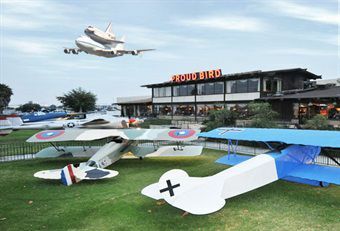 For the first time since opening its doors in 1967, the iconic Proud Bird restaurant and event space, which has been offering diners breathtaking views of Los Angeles International Airport's (LAX) runways, will embark on a 10 month renovation beginning February 1st. With strong ties to the local community, the Proud BIrd will maintain its aviation-inspired theme when it transitions into a food hall with various food kiosks offering diverse artisanal cuisine, paying homage to the cultural melting pot that is Los Angeles and its busiest transportation hub, LAX. Stay tuned for more exciting news and updates by visiting us on Facebook!